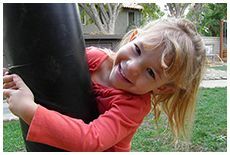 Christ Lutheran Preschool, located in the Santa Clarita Valley, is the perfect place for your child to experience early childhood education. We engage our children in exciting, age-appropriate learning activities designed to help them develop socially, physically, and academically. Our staff is dedicated to nurturing your child in a clean, safe, fun environment.Our many programs are designed with a well-rounded, complete education as the core. They include outdoor science, music, our art gallery, and an award-winning playground with many areas designed to develop grow-motor skills. Our Christian values extend into our daily routines at Christ Lutheran Preschool. Your child will be surrounded by an extension of the values you teach in your home.Make an appointment today to tour our school and see what Christ Lutheran Preschool can offer your child! Contact us today!